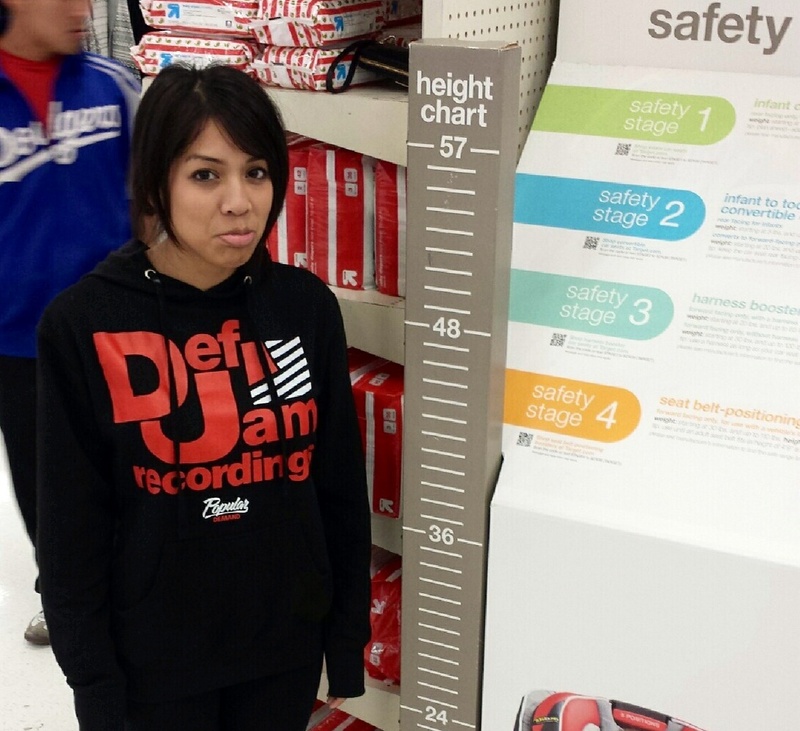 I frequently get asked how tall I am – so when I came across this height chart at Target, I couldn’t help but take a picture. I’m 4’11.5″, and yes, I have to add the half because when I say 5, I’m accused of lying lol. My size is rare – Yes, there are people who are as small as me, but they’re like 10-years-old, not 23. In this industry though? DEFINITELY. Rappers are not my size, and neither are strippers, so there you go. I stick out because of this, so people will remember me even if they don’t want to. Harmless – I don’t look like someone who’s going to start some drama or get violent with you – which is truly why I think I’ve gotten most of my interviews. A+ Manuever Skills – Ayeeee…. at concerts and shows, I can get by anyone. Whether that is pushing them aside and they think my body is just an arm, or bobbing and weaving to get to where I need to be. Piggy Back Rides – When my feet hurt, I don’t care what you say – you’re carrying me. Compact – I fit everywhere. Take for instance, if we need to pack a car and there’s no seat for me – I just lay across everyone or on the floor. Clothes/Shoes – Don’t hate on me when I get my clothes or shoes on sale because they only have the smallest sizes left and I get them for half the price. Overall, I love my size and am more than happy that I’m staying like this forever.